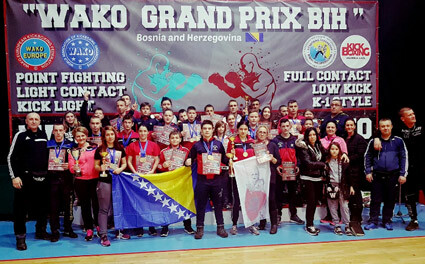 Balkan Open 2018 held in Tešanj 24.03.2018 /Bosnia and Herzegovina,participation number of entries 707,number of clubs 96,number of countries 15. WAKO supervizor Mr.Srđan Bugarčić, Leader Competition Mr.Rodeo Deša. Delegate Competition Kickboxing Federation Bosnia and Herzegovina Mr.Nermin Bašović. 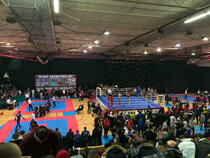 Balkan Open 2018 another great WAKO event has been successfully organised traditionaly 10 times.Top level of organisation has shown that,year after year this signification tournament has improved in every way-from sports,competing,overality and organisation to hospitality. 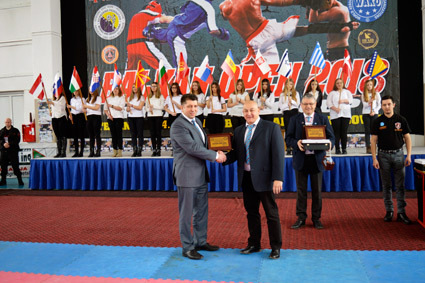 Balkan Open was attended by Mr.Vladimir Sitar President WAKO Balkan Kickboxing Union, Mr.Romeo Deša Advisor to President IF WAKO,Mr.Srdjan Bugarčić General Secretary WAKO Europe, Mr.Dejan Mitrovski President Kickboxing Federation Makedonia,Mr.Tomislav Bilandžić President Kickboxing Federation Croatia,Mr.Dragutin Papović President Kickboxing Federation Bosnia and Hercegovina. 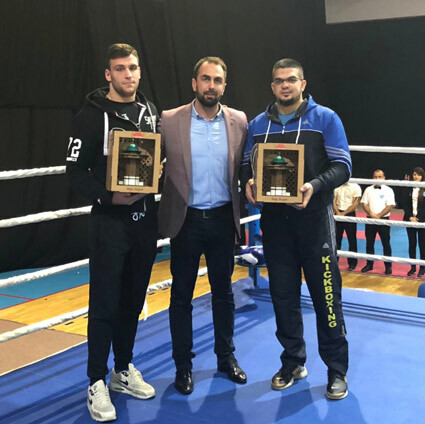 Minister of economy of Zenica-Doboj Canton ,mayor town of Tešanj with your associates, and Mr.Alija Ogrić Vice President WAKO Balkan Kickboxing Union. 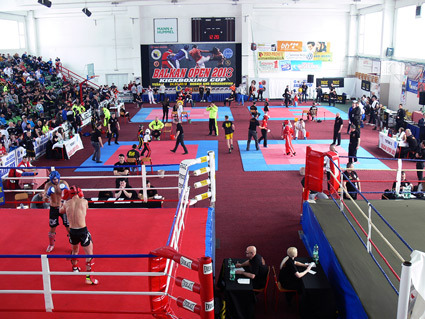 Minister of economy of Zenica-Doboj Canton was open tournament.Balkan Open 2018 partipacipated competitors from Austria, Slovenia, Hungary, Slovakia, Croatia, Serbia, Bulgaria, Moldavia, Makedonia, Montenegro, Danish, Grece, Izrael, Poland and Bosnia and Herzegovina. 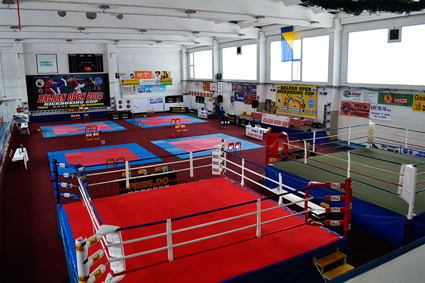 Best team in the ring disciplines WAKO Makedonia team and tatami discipline Team Masaru/Bulgaria. It is my pleasure and great honor to invite you to BALKAN OPEN 2018 that will take place in Tešanj, Bosnia and Herzegovina 24.03.2018. 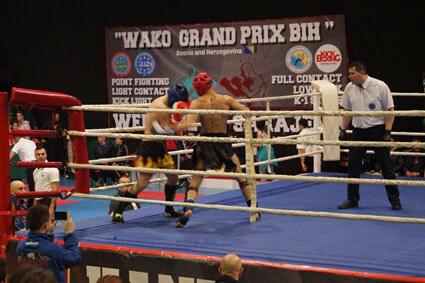 Another great WAKO event has been successfully organised in Sarajevo, capitol of Bosnia and Herzegovina. 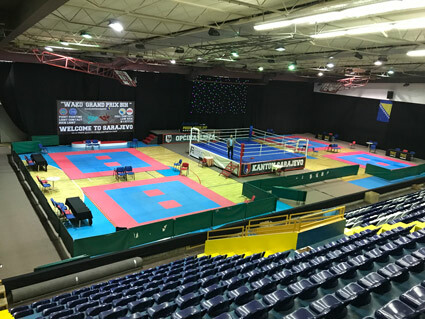 This time WAKO GRAND PRIX BIH 2018 hosted over 530 competitors of all ages from 78 clubs representing 6 countries. Top level of organisation has shown that, year after year this significant tournament has improved in every way - from sports, competing, overall quality and organisation, to hospitality. 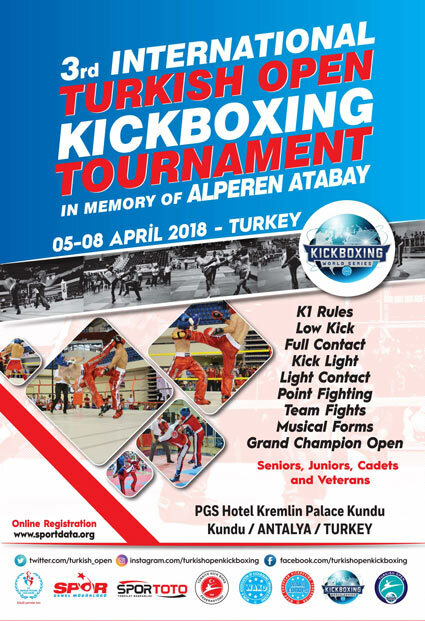 Both female and male kickboxers has shown high quality in their performances and presented all the beauty of our sport to big crowd of spectators. 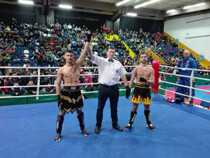 By this we would like to show our respect and thank to Promoter, Mr Nermin Basovic and "KICKBOXING ACADEMY Ilidza” for his great job. 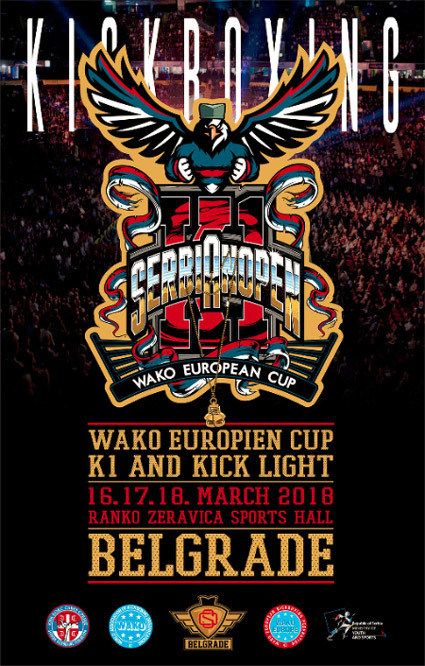 IT IS MY PLEASURE AND THE GREAT HONOR TO INVITE YOU AND YOUR TEAM TO WAKO EUROPEAN CUP "SERBIAN OPEN" 2018 THAT WILL TAKE PLACE IN BELGRADE, SERBIA, FROM 16-18 OF MARCH 2018. PLEASE, READ CAREFULLY ALL INFORMATION AND IF YOU NEED ANY ASSISTANCE DON'T HESITATE TO CONTACT US.